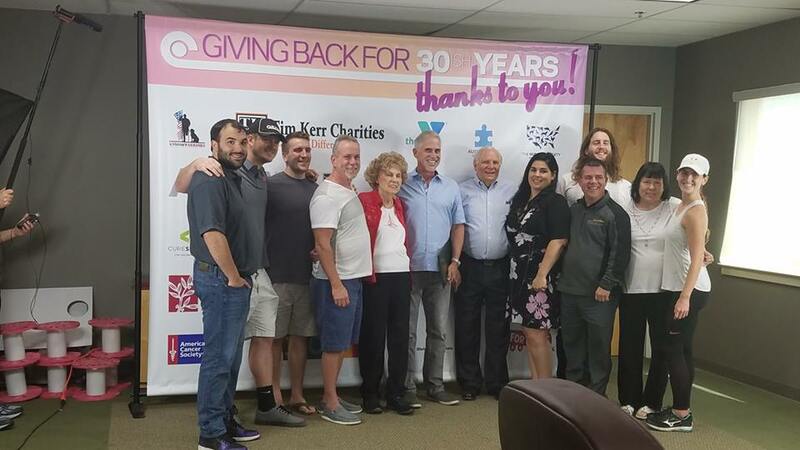 Senator Mensch congratulated Allied Wire and Cable on their 30th Anniversary. This edition of the Mensch Report features my walking tour and interview at Campbell Fittings in Boyertown. This tour and interview took place during Manufacturing Day in 2017. Campbell Fittings is recognized throughout the industry as a manufacturer of the finest hose fittings, couplings, and clamps of their kind in the world, and currently our engineers are working closely with engineers of major hose manufacturers to develop and test even better, safer products for the future. Senator Mensch held a press conference regarding his SB 1092 which would lead to tougher sentences for crimes of domestic violence committed in front of children. The deadline for older adults and Pennsylvania residents with disabilities to apply for rebates on rent and property taxes paid in 2017 has been extended from June 30 to Dec. 31, 2018. Each year the Department of Revenue evaluates the program as the statutory June 30 application deadline approaches to determine if funds are available to extend the deadline. 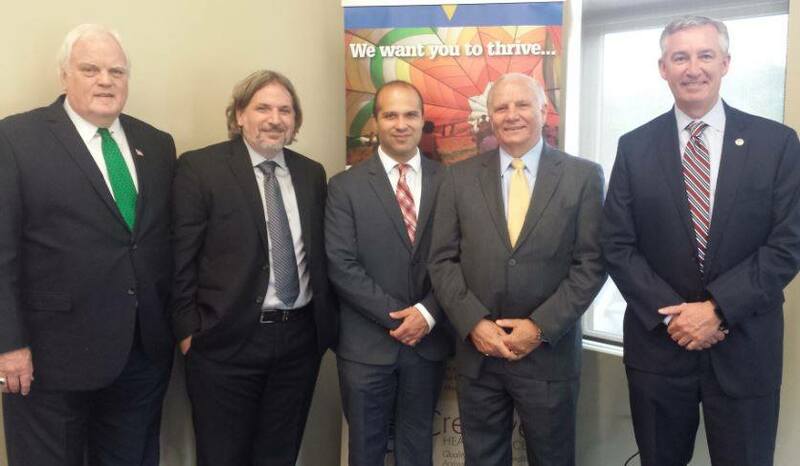 To date, funding has been available to allow all who qualify to benefit from the program. As of June 1, the department had received 472,564 rebate applications. As specified by law, rebate distributions cannot begin until July 1. Because July 1 falls on a Sunday this year, rebates that have been processed and approved will be distributed to applicants via direct deposit on July 2. Other applicants who requested a paper check to be mailed to them — and whose applications have been processed and approved — should expect to receive their payment in the mail in early July. As a reminder, applicants are required to submit their bank account information on their application forms in order to receive their rebates through direct deposit. After June 30, rebates will be distributed as claims are received and processed. Applications typically take 4-6 weeks to process. Applicants may obtain Property Tax/Rent Rebate claim forms (PA-1000) and related information on the Department of Revenue’s website or by calling, toll-free, 1-888-222-9190. It costs nothing to apply for a rebate, and the department reminds applicants that free assistance is available at hundreds of locations across the state, including Department of Revenue district offices, local Area Agencies on Aging, senior centers and state legislators’ offices. Claimants who already applied for rebates may check the status of claims online at www.revenue.pa.gov by clicking on the “Where’s My Property Tax/Rent Rebate?” link. Claimants may also call, toll-free, 1-888-PATAXES to check the status of their rebates. Since the Property Tax/Rent Rebate Program’s 1971 inception, older and disabled adults have received more than $6.7 billion in property tax and rent relief. The program is funded by the Pennsylvania Lottery and revenue from slots gaming. 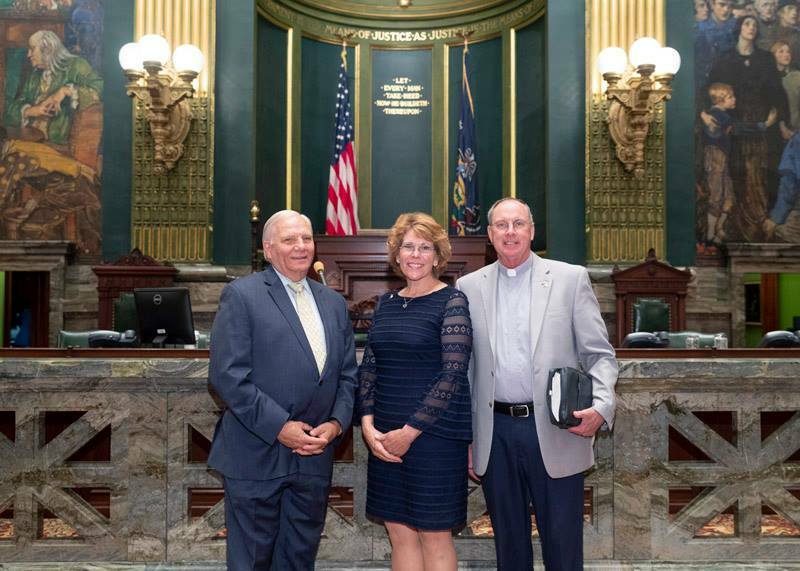 Senator Mensch introduced Guest Chaplain of the PA Senate, Pastor Dave Kratz. 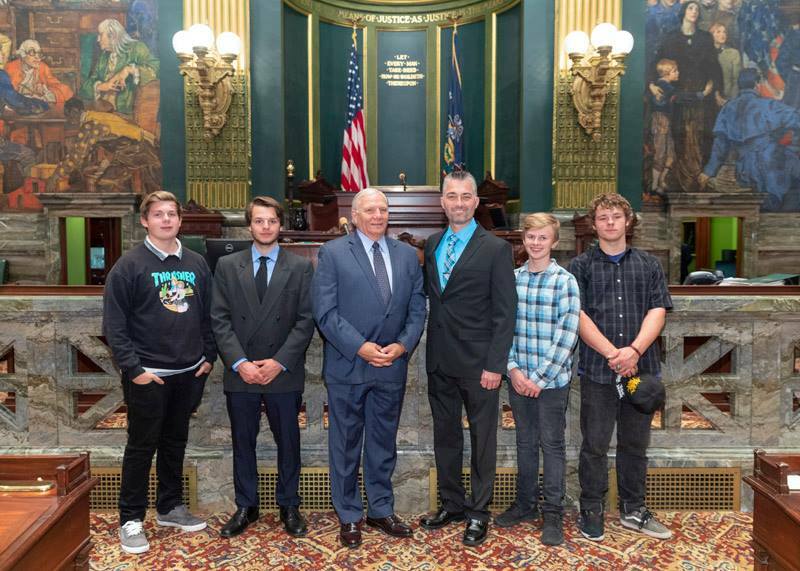 Pastor Kratz was joined by students from Quakertown’s Middle and High School who are also part of the Free Fall Action Sports Team: Logan Brezner (Junior), Mark Krenzel (Junior), Braxton Johnson (Sophomore), and Connor Matusek (8th Grade). Senator Mensch introduced Guest Chaplain Reverend Daniel Schaefer and his wife Holly Schafer. You can review the department’s upcoming calendar of events to attend a conveniently scheduled presentation or program. If you are unable to locate an event to meet your group’s needs, schedule a presentation for an upcoming meeting or conference through the Consumer Outreach Liaison at 717-214-5565 or by email at katrboyer@pa.gov. 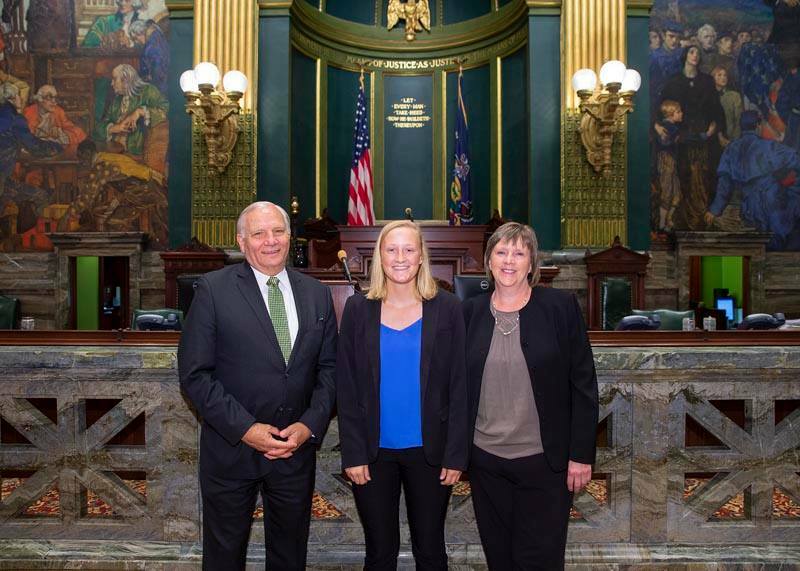 Senator Mensch welcomed Allison Ritting to the PA Senate. Allison is interning in his Red Hill District office. Allison was joined by her mother, Lori Ritting. Kicking off your summer by mixing fun with an open flame requires a dose of caution, according to the National Fire Protection Association. Annually, grills, hibachis and barbeques are the source of 9,600 home fires, including 4,100 structure fires and 5,500 outside or unclassified fires.